The number one focus at Rubix has, and always will be: Safety. Whether it be safety in the home, safety at school, safety on-line car seat safety, yours and our children’s safety is the foundation of what Rubix offers our clients. We certainly do everything we can while your precious cargo is under our care – our tracked vehicles, trained staff and on-board safety officers. However, when children are not in our care, its up to parents to ensure they are safe. We are astonished to find out that 1 out of every 4 parents admits to not buckling up their children on every single car trip. Road accidents are the leading cause of death in children under five years old in South Africa and even more staggering is that a child is twenty times more likely to die on South African roads than anywhere else in the world. If car seats are used safely and correctly, many of these deaths could be avoided. As a parent, your first thought in a motor vehicle accident is about the safety of your child, but unfortunatly, many parents do not use car seats properly. Watch what happens to a child in a car accident. The use of car seats reduces the risk of death to infants by 71% and to toddlers by 54%. Booster seats reduce the risk of serious injury by 45% for children aged between 4 and 8 when compared with seat belt use alone. For more car seat safety tips and other staggering statistics, click here. Using car seats properly is the difference between life and death. A one-time lapse can result in a lifetime of regret. Who’s doing something about this? There are various initiatives that address this issue. Check out Carseat Fullstop and Wheel Well. Both campaigns provide valuable info on topics relating to car seat safety and child safety. Rubix has been supporting Wheel Well for over 5 years and are truly inspired by the amazing work that they do. Wheel Well receives donated child safety seats to create a “seat exchange” where lower income families can receive child restraints in return for an affordable donation. The seats are thoroughly cleaned and checked for defects before they put into stock. 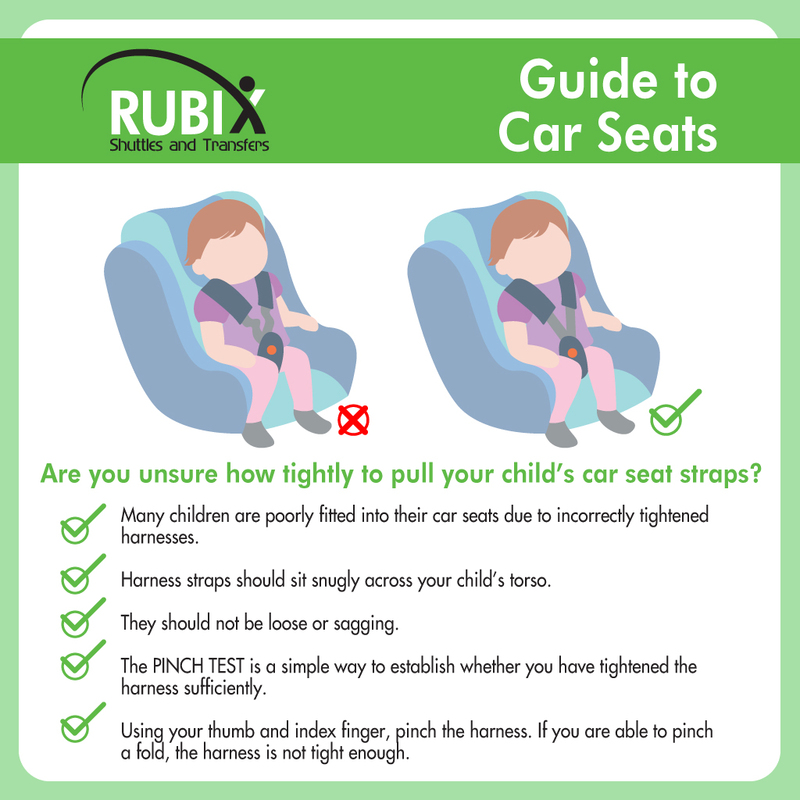 Rubix encourages parents to return the seats once outgrown to perpetuate the cycle. Buy the best. Invest in the best car seat you can afford. Or get in touch with Peggy at Wheel Well. Double-check. When purchasing, always check the car seat’s label to ensure it’s the right one for your child’s age, weight and height. Car seats. Your child should ride in a safety seat with a five-point harness until they weigh at least 18 kgs or until their shoulders no longer fit under the harness straps. Booster seats. 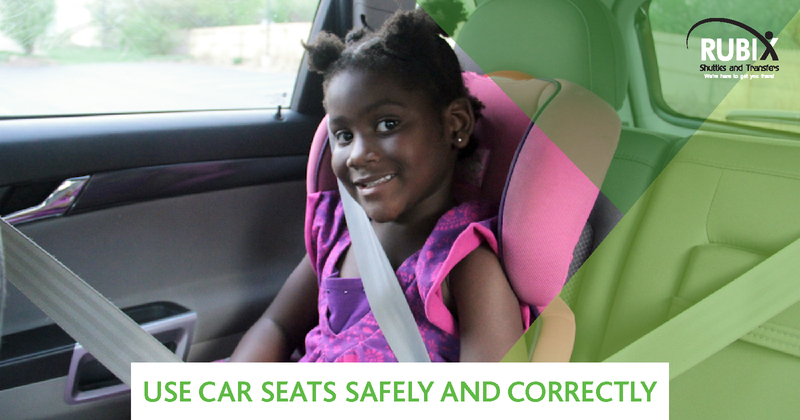 Your child should ride in a booster seat from the time they weigh 18kgs and are 4 years old, and until they are 1.50m tall and are 8-12 years old. Check for movement. Make sure your seat is installed correctly and check that the car seat does not tip forward/backwards or move from side to side. Tighten Up. 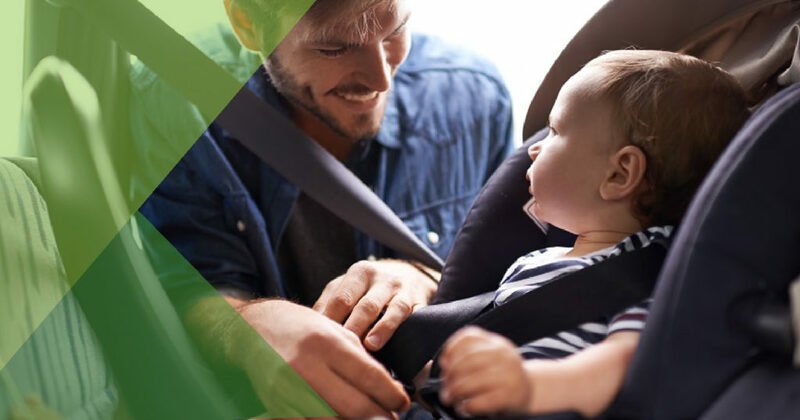 Make sure your child is secured in the seat properly by ensuring that the car seat harness straps are tight enough to hold them firmly in the event of an accident. Buckle up. Make sure the harness straps are not twisted, and use the mechanism to pull the harness tight. You should not be able to pinch any harness fabric between your fingers. Lead by example. Set a good example by always wearing your own seat belt. Help others. If you see someone driving around with their children not in a car seat or safely buckled up, call 0861 400 800 with the car’s license plate and the date. The Road Traffic Management Corporation will send them a warning letter. It could save a child’s life. Car accidents are terrifying experiences for everyone involved. Give your family the best chance of surviving should they be involved in a crash. Use a safety seat, buckle up and take all precautions possible! Enter your details and stay updated. Rubix Shuttles and Transfers offers a variety of services within Gauteng which include Randburg, Northriding, Bryanston, Midrand and Fourways. Eat Right, Eat Smart, Be Smart!